We have gathered industry professionals that are committed to your success. US Department of Justice. Civil Rights Division: The ADA provides access to Americans with Disabilities Act (ADA) regulations for businesses and State and local governments, technical assistance materials, ADA Standards for Accessible Design, links to Federal agencies with ADA responsibilities and information, updates on new ADA requirements, streaming video and more. The Alabama Restaurant and Hospitality Alliance represents over 1,200 member restaurant and lodging properties, tourist-related entities, and industry-related service companies. These members help make the foodservice, hospitality, and tourism industries Alabama's second-largest employer, and one of the state's most politically-active and public service-oriented industries. Since 1964, Alaska CHARR has been representing your interests at the local, state and national government levels. Now we'd like to represent you in the courtroom as well. Alaska CHARR is moving forward with a significant initiative to support the rights of hospitality industry businesses and the 25,000+ employees that make up our industry. 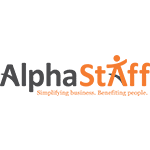 AlphaStaff is a National HR Outsourcing company with a full suite of HR services that include: HR administration, Fortune 500 style insurance packages, Payroll, Tax Administration, a "pay as you go" Workers Compensation program and a 100% paperless cloud-based HRIS technology platform. By offering a customizable suite of solutions based on the client's need, AlphaStaff helps businesses better manage cost, control legal and financial exposure, and have a competitive advantage when trying to hire and retain top talent. Our goal is to help the business owner get back to running their core business and focus on growth while we manage the administrative burdens. The ARA represents all factions of the restaurant community and has a robust list of member benefits to assist every business from Quick Service to Fine Dining to our Vendor Members who supply goods and services to restaurants. The American Society of Cost Segregation Professionals (ASCSP) has been established as a non-profit corporation in response to the growing need for education, credentials, technical standards and a Code of Ethics within the cost segregation industry. Membership will be open to all individuals that meet the standards currently set by ASCSP. The Society is headquartered in Washington, DC. Additionally, ASCSP will openly solicit and accept input in order to establish the standards by which cost segregation reports will meet the “Principal Elements of a Quality Cost Segregation Study and Report” as delineated in the Audit Techniques Guide for Cost Segregation Studies promulgated by the taxing authority.ASCSP has been formed with the goal of establishing a measurable standard by which cost segregation consultants can be evaluated both from a business practice standpoint as well as actual quality of deliverables. 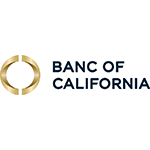 Banc of California provides full-service banking to businesses, entrepreneurs and homeowners throughout California. We have the expertise to service clients with sophisticated wealth management needs. We offer individual attention to address specific financial needs and will coordinate a team of experienced specialists to provide a tailor-made banking experience. Bent Caryl & Kroll, LLP concentrates its practice on advising and defending employers before all state and federal courts and agencies. The firm handles nearly all employment-related issues including outsourced human resources support, handbook review, training, and litigation defense. The firm's clients range from individuals, small business owners, and Fortune 500 corporations, and it routinely defends claims such as wrongful termination, harassment, discrimination and wage and hour class actions.